We spoke to livery designer Sean Bull on creating the colour schemes for Dragon Racing and the methods behind conceiving the perfect livery design. If you’re a racing fan and you use social media, chances are, you’ve probably seen Sean Bull’s work. 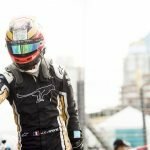 The livery designer is well known for his Fantasy F1 livery designs that he frequently shares online, garnering him a strong following on social media. No doubt, a man of his talents will quickly be taken notice by those at the top. So, it’s not surprising that for someone who has only been designing liveries professionally for a year, Sean Bull’s CV boasts names such as Red Bull and DRAGON. What started off as a hobby has quickly turned into a dream job, Bull recently landed a job in the graphic design department of the Renault Formula One team. “Formula One has always been a lifelong passion and my goal to enter since I was a child,” he says. The first livery he fell in love with was the blue and yellow Renaults of Fernando Alonso’s from the 2005-2006 era. “The cars, the noise, the shapes, were all just perfect and I loved that era of Formula One,” says Bull. 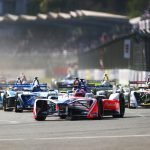 Formula One is not the only championship on his radar, after attending the first Formula E London ePrix, Bull has since been keeping a close eye on the all-electric series. It wasn’t long until his designs caught the eye of DRAGON Team Principal, Jay Penske, and Sean was contacted and assigned to design the team’s season 4 livery. “He was very encouraged by my work, and he wanted to really push the DRAGON team’s branding and identity back to its roots after last season,” says Bull on working with Penske and the DRAGON team. What was the design proposal given by DRAGON? “It really started with a return to the classic metallic “DRAGON red” and we developed it from there,” he says. DRAGON has always been big on personality, so it’s crucial that their cars reflect on this aspect. 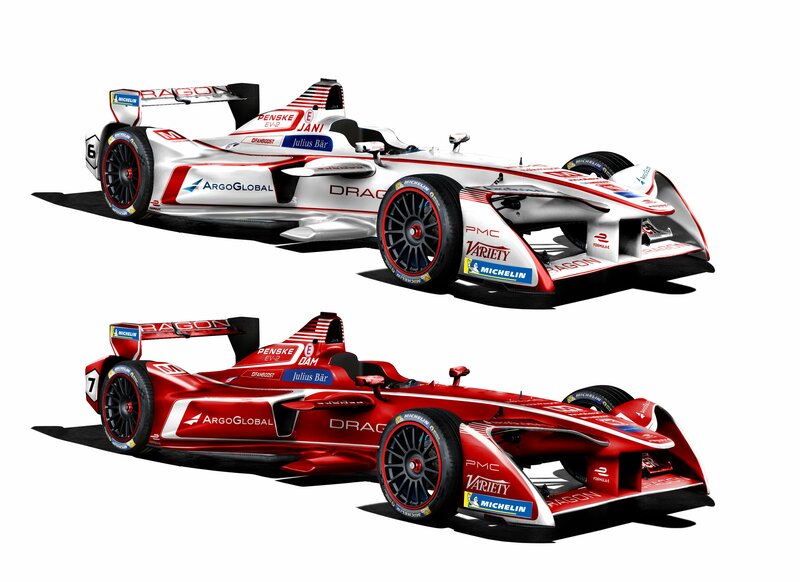 What’s also unique about the DRGAON colour scheme is that it’s the only team in Formula E to have a dual-livery for each car, which reflects the team’s identity and disruptive ethos, while also showcasing and differentiating its drivers. Looking at Bull’s design portfolio, it’s fair to point out that he’s somewhat of a perfectionist. The attention to detail he gives, even into his “out-of-hours” work is impressive. This is a useful trait to have when working with DRAGON, as the design process had to be meticulously carried out. 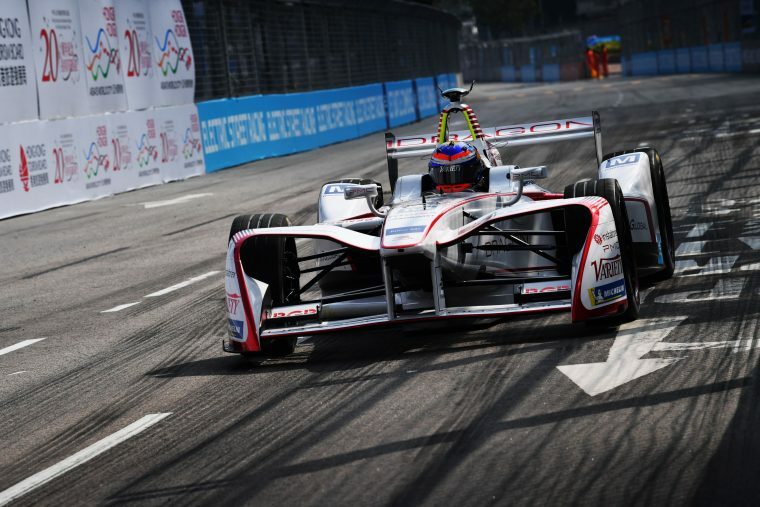 Was there a lot of challenges in designing the livery? “Not many, such was the freedom given. 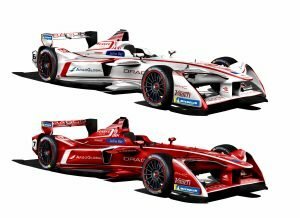 The new Formula E identity though, did prove a challenge to integrate smoothly with the massive box outlines on the side, nose and mirrors of the car, as it impacts the design quite a lot,” he says. His approach to creating a good design is quite straightforward, “My design approach is to keep it simple and use the shape of the car to give you the best results. The DRAGON livery embodies my design ideology from this perspective.” He says. He has already conceived a concept livery for the DRAGON season 5 car, giving us a taste of the striking colour schemes we can expect to see when paired with the second generation Formula E car, and it’s definitely something that would make the wait for season 5 worthwhile. Images courtesy of DRAGON Racing. Noor Amylia Hilda is a journalist based in Kuala Lumpur with bylines in titles such as Women's Health, Esquire and ELLE. She is also a freelance motorsport journalist covering the FIA Formula E championship and Formula 1.